In the early 1980s a group of investors with backing from Goodyear sought to purchase a large chunk of Akron's Fulton Municipal Airport (between the blimp hangar and the Rubber Bowl) for the purpose of building a multi-purpose speedway that could host races and (more importantly for Goodyear) testing for stock cars, Indy cars, and sports cars. Of course the idea never came to fruition and the area in question is now home to a BMX track and model airplane club. I designed this speedway with the same proportions as Indianapolis, but scaled to 80% of the Brickyard's size to fit the area available. The track is modeled as it would have appeared when brand-new in the mid-'80s. Some modeler's license was taken in the placement of some nearby buildings. 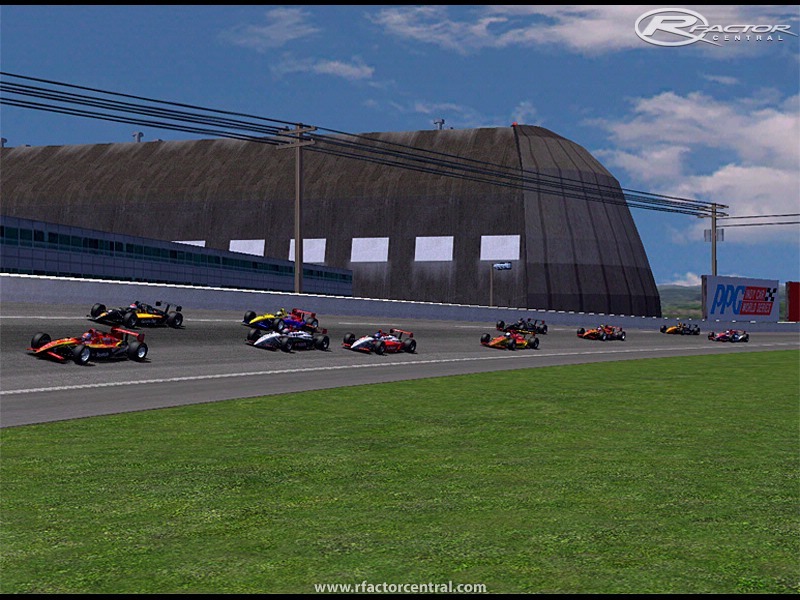 An infield road course with several configurations is planned for a future release. There's not much "I" in the AI. I'm not very good at creating AI files for rFactor. In true '80s style the catch fencing does not extend all the way around the track. If you go airborne your car may go over the outside wall. At that point your race is done as there is no way to return to the racing surface. Many trackside details were borrowed from the default tracks. Note: my server is rather slow and limited to 10 connections. 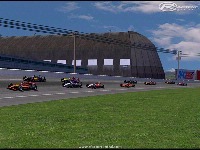 There are currently no setups for Akron Motor Speedway. Add a Setup. I am from Akron and would love to get a copy of this, but your link is down. Sweet. I remember the hubbub in Akron when this proposal was presented, and seemingly viscously opposed by the local city officials at the time. Nice to see you bring "what could have been" to rFactor. BTW, we still have a standing invitation for you at Nelson. Just let me know when you're interested.